We are The Gentleman Panda Studio. A small group of artists that make media entertainment: Comics, Animation, and Videogames. 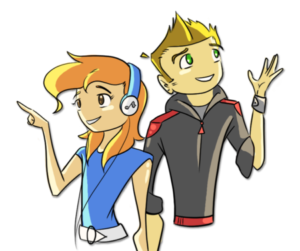 We also provide educational resources to Highschool and College students who are interested in the Animation/Film/Videogame industry. Attended a Digital Media Arts: Animation program in 2013 and then Post Grad. Classes with the Oatley Academy. She specialized in writing, digital painting, character design, 3D sculpting, story boarding, and motion graphics.